The WUMC Bell Choir meets Tuesdays from 6:00 - 7:00p, in the choir room, September through May. 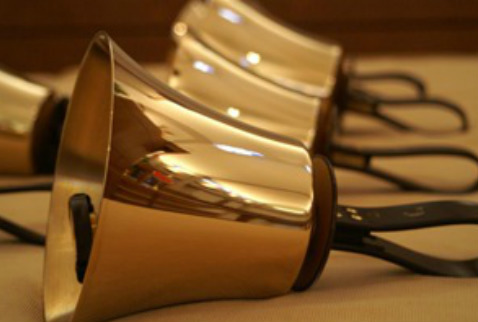 The Bell Choir plays for both services on the 4th Sunday of the month during the church music season, We also play for special occasions such as the Christmas Cantata, Easter Sunday, and our Great Day of Music in May. Music reading ability is a plus, but some of us are still learning, so jump right in! For more information please contact director Elizabeth Halbe, or talk to one of our ringers.